The Pulmonary Department of the St Antonius Hospital Nieuwegein is one of the largest in the Netherlands, and is a reference center for Interstitial Lung Diseases (cIL: www.longcentrum.nl). It has recruited several patients with PAP in the last years, and has experience with GM-CSF treatment in 6 cases. In the Netherlands, GM-CSF is approved therapy for PAP since 2003, and paid for by the Dutch health insurance companies. 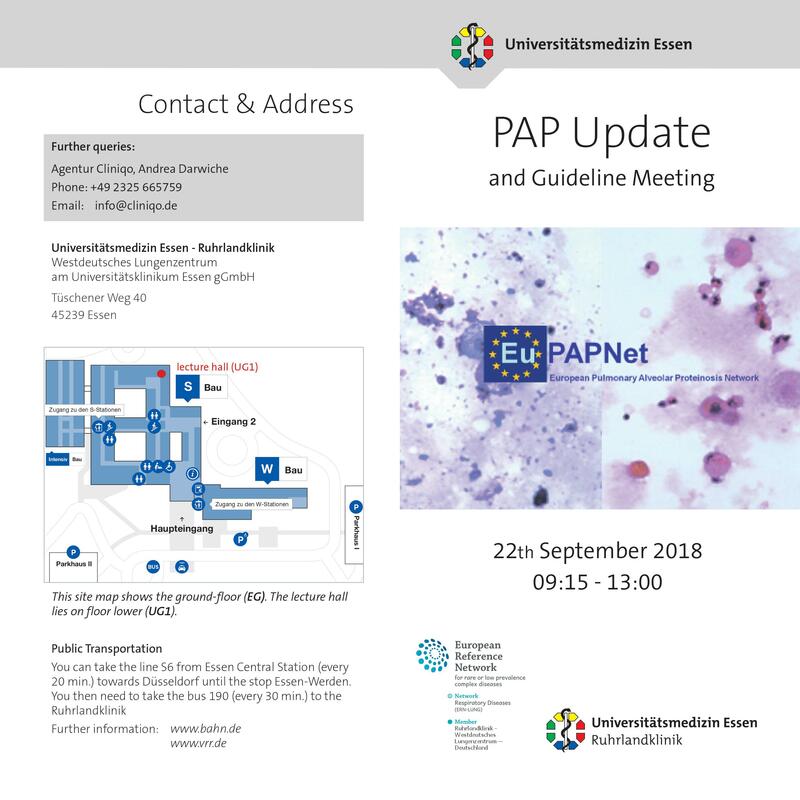 The research focus of this centre inside the EuPAPNET project is to study gene association on genomic DNA of PAP patients. One of the Dutch co-workers (Dr van Moorsel) is currently investigating the presence of SFTPC mutations in patients with PAP. 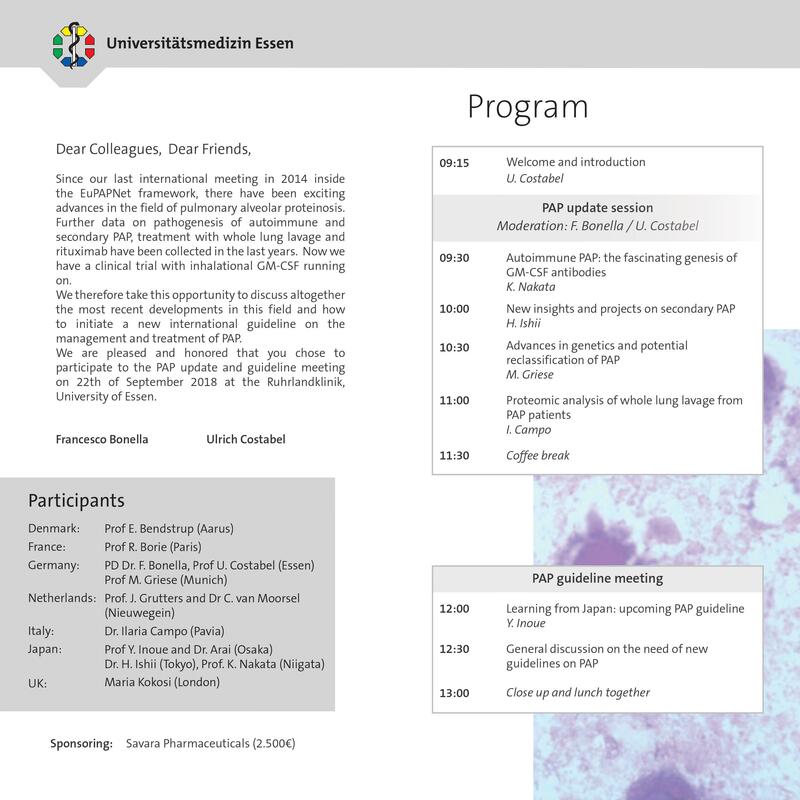 Copyright © 2019 EuPAPNet - European Pulmonary Alveolar Proteinosis Network. Powered by WordPress and Alétheia.